Hey Jeff, I thought the ship in your last post must have come down and abducted you ! 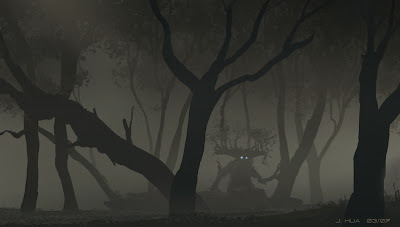 Really cool post,love those eyes in the darkness,great work ! thanks for your encouraging words Andrew. I hope I can find time do some more speed paintings. Awesome stuff man! You really love LOTR. Yeah Jeff, you DO really love LOTR. Good stuff.